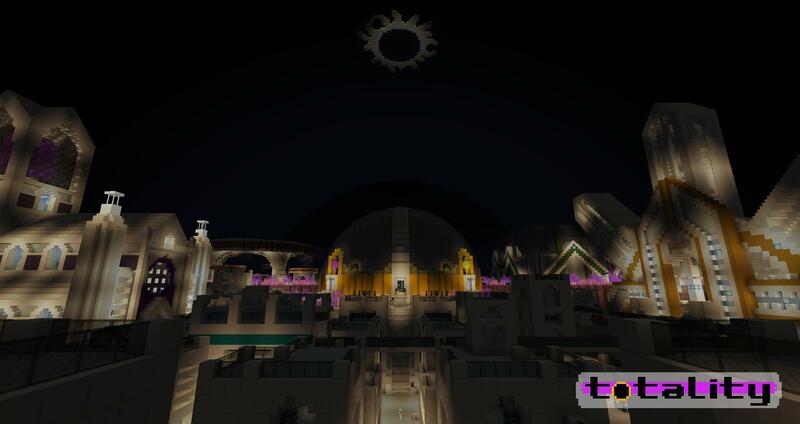 Totality is a new open-world adventure map from the creator of Gloria, Monstrosity, and the adventure branch of Diversity 2. Crash-landed on Earth, your only hope of escape is to locate four ancient batteries known as sources. Build tactically with an infinite supply of holoblocks to overcome hordes of robotic foes and find your way home. Not sure how to install the map? Read my map installation tutorial! Feel free to stream/record, but please be considerate and leave a link to the map in your video's description. Estimated play time was correct and its really great for a few friends to hangout and playthrough this map.